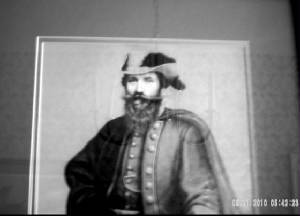 JEB STUART WAS KNOWN FOR WEARING A BLACK FEATHER IN HIS HAT, THIGH HIGH BOOTS, AND GLOVES. 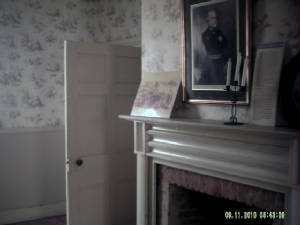 ONE PERSON SAW A FIGURE IN THE BASEMENT WHO HE LATER IDENTIFIED BY POINTING TO A PICTURE OF BRIG. 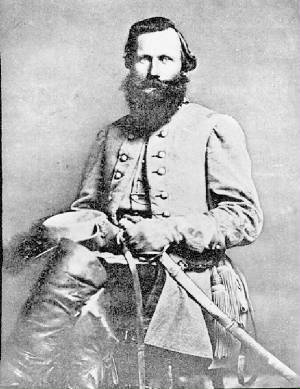 GENERAL JEB STUART. 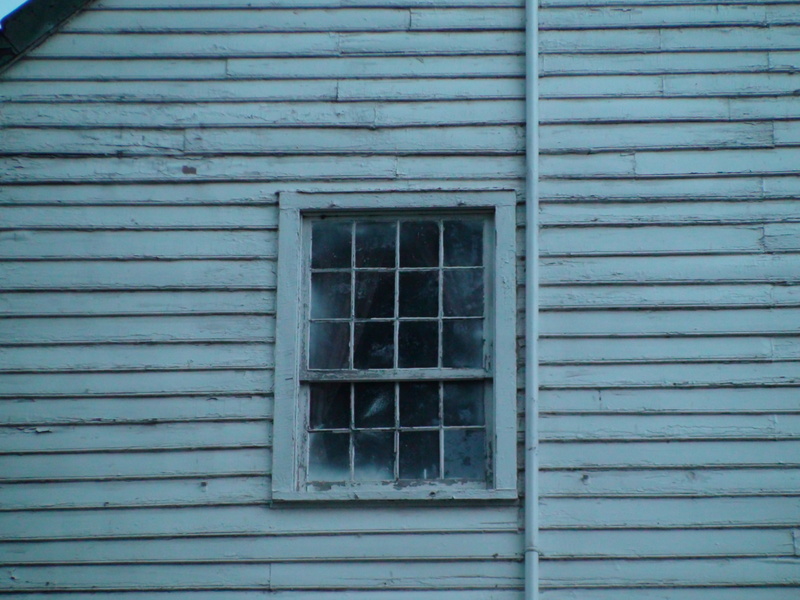 HOW GREAT IS IT THAT THIS SITE IS OPEN TO PARANORMAL INVESTIGATIONS! CONTACT HAPS FOR DETAILS. 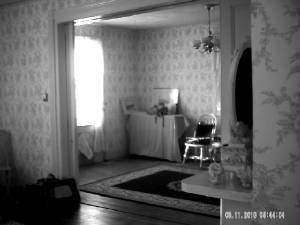 NEW YEARS EVE PARANORMAL BALL AT THE LANDON HOUSE!!!! 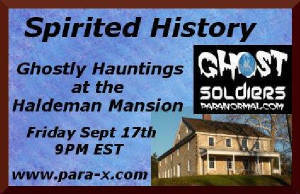 GET TOGETHER WITH FELLOW PARANROMAL INVESTIGATORS FOR DRINKS AND FUN IN THE HAUNTED LANDON HOUSE!!!! COL JOSHUA CHAMBERLAIN FROM THE 20TH MAINE, ARMY OF THE POTOMAC, VISITED THE LANDON HOUSE WHILE WE WERE THERE. WE FEEL THAT THE MORE YOU CAN IDENTIFY WITH YOUR SPIRITS, THE EASIER IT WILL BE TO MAKE CONTACT WITH THEM. DOUG AND I BOTH PUT ON CIVIL WAR UNIFORMS, AND I PUT ON THE REBEL GREY, SO AS NOT TO LEAVE OUT ANY CONFEDERATE SOLDIERS WHO MIGHT BE ON THE GROUNDS. NEAR THE END OF OUR INVESTIGATION, JOHN CURLEY FROM HAPS HAD THE FRONT DOOR PULLED OUT FROM HIS HANDS VERY SUDDENLY. IT WAS NOT THE WIND. HE ALSO HAD HIS STOMACH GO BAD WHILE IN THE BASEMENT AND AT THE SAME TIME LEANNE WAS GETTING A 20.0 MG ON HER EMF METER. DURING THE NIGHT, I TOOK TIME OUT TO SIT IN FRONT OF KEVINS TV STUDIO ON THE SECOND FLOOR AND I WAS ABLE TO GIVE DETAIL OF WHAT WAS HAPPENING TO VIEWERS OVER THE INTERNET. THIS IS A GREAT WAY TO WATCH THE PARANORMAL LIVE. 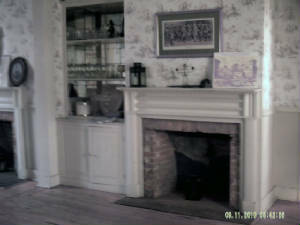 GO TO WWW.AREACABLE.COM TO SEE A LIVE FEED FROM THE LANDON HOUSE! 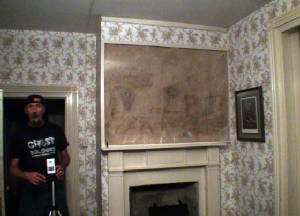 SPIRITED HISTORY WITH LEANNE AND ANGELA, FROM PARA-X RADIO, INVESTIGATED THE HISTORIC LANDON HOUSE IN URBANA, MD. jOHN AND DON FROM HAPS (HARRISBURG AREA PARANORMAL SOCIETY)HOSTED THIS PARANORMAL GROUP EVENT WITH LYCO PARANORMAL, CRAIG AND DON, AND GHOST SOLDIERS PARANORMAL, DOUG AND MYSELF. 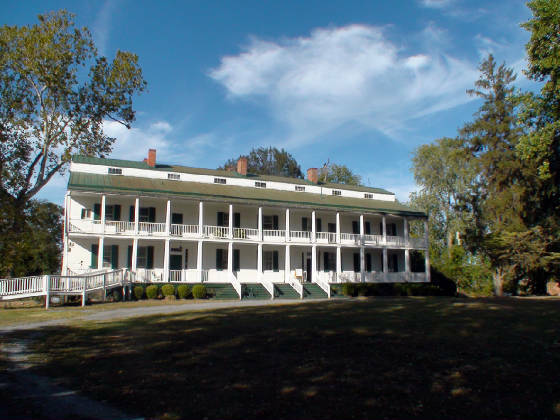 WE WERE ALL THERE TO TEAM UP TO FIND EVIDENCE AT A SITE THAT HAS SEEN MUCH HISTORY OVER THE YEARS AND IS KNOWN FOR BEING THE SITE WHERE JEB STUART HELD HIS FAMOUS "SABRES AND ROSES" BALL IN 1862. KEVIN DOALN THE OWNER INTERVIEWED US ON HIS NEW SHOW "PRARNORMAL JOURNEYS" WHICH IS LIVE FROM THE LANDON HOUSE ON WWW.AREACABLE.COM HERE IS THE EVIDNECE WE FOUND THAT NIGHT! HENRY, WHO WANTS TO PLAY? 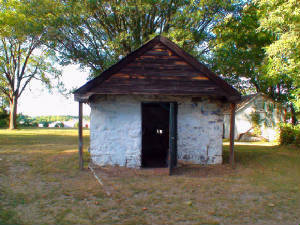 THE LANDON HOUSE WAS BUILT IN 1754 IN VIRGINIA AS A SILK MILL AND THEN MOVED TO URBANA MARYLAND IN 1840 WHERE IT BECAME "SHIRLEY FEMALE ACADEMY" AND THEN LANDON MILITARY ACADEMY RIGHT BEFORE THE CIVIL WAR. JEB STUART AND HIS CAVALRY HOSTED A PARTY THERE IN SEPTEMBER OF 1862 CALLED "SABRES AND ROSES". DURING THE PARTY, FEDERAL FORCES CLASHED WITH PICKETS NEAR HYATTSTOWN, JUST SOUTH OF URBANA, AND THE PARTY CAME TO AN ABRUPT STOP AND ALL THE MEN GALLOPED OFF TO FIGHT. AFTER THE SKIRMISH, THEY RETURNED TO THE LANDON HOUSE AND THE PARTY RESUMED! 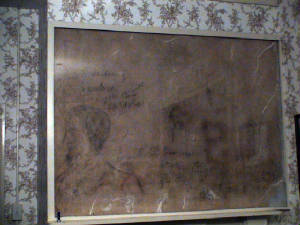 REBELS DREW A PICTURE OF JEB STUART ABD JEFF DAVIS ABOVE THE FIREPLACE WITH CHARCOAL, THEN THE REBS WERE FORCED OUT BY THE UNION SOLDIERS, WHO ADDED A PICTURE OF LINCOLN AND DATED AND SIGNED THE ART SEPTMEBER 16. 1862, JUST ONE DAY BEFORE THE BATTLE OF ANTIETAM, THE BLOODIEST DAY IN AMERICAN HISTORY. 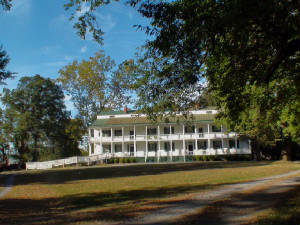 AFTER THE BATTLE, THERE WERE 23,000 CASUALTIES WHO NEEDED ATTENTION AND THE LANDON HOUSE WAS ONE OF 140 BUILDINGS IN THE AREA, MOST BEING ONE OR TWO ROOM CABINS. BEING ONE OF THE LARGEST BUILDINGS IN THE AREA, IT WAS USED AS A HOSPITAL FOR WOUNDED UNION SOLDIERS AND PROBABLY SAW AROUND 1300 OR MORE SOLDIERS ON ITS GROUNDS AND IN THE HOUSE. WITH THAT KNOWELEDGE, WE ENTERED THE BULDING WITH HUMILITY AND RESPECT. BUT BEFORE I EVER GOT IN I WOULD GET 3 EVPS JUST ON THE PROPERTY ITSELF, NEVER MIND WHAT I WOULD GET WHEN I LEFT A RECORDER UPSTAIRS AND ON BY ACCIDENT. WE ARE STILL GOING OVER THE EVIDENCE, BUT HERE IS WHAT WE HAVE SO FAR. THE FRONT PARLOR WAS SET UP AS OUR COMMAND CENTER AND WE ALWAYS APPRECIATE THE ARTWORK CREATED BY REBEL AND UNION SOLDIERS, DISCOVERED AFTER THE WALLPAPER WAS REMOVED. UNION SOLDIERS FROM THE 155TH PA VOLUNTEER INFANTRY SIGNED AND DATED THE DRAWING AND IT IS RECORED IN THE REGIMENTAL HISTORY. THIS PLACE IS AMAZING WITH THE STAIRCASE SHOWING SIGNS OF STEPS THAT HAVE WORN THRU THE YEARS AND EXCEPT FOR THE BALLROOM, ALL OF THE WOOD FLOORS ARE ORIGINAL. AS SOON AS I GOT TO THE LANDON HOUSE, I GOT SOME PICTURES OUTSIDE AND WENT AROUND BACK TO THE CHAPEL, WHERE I GOT EVPS RIGHT OFF THE BAT!!! LATER WE WOULD COME BACK TO THE CHAPEL AND GET A NICE CLASS A EVPS TELLING US TO "LEAVE NOW". WE SPLIT INTO 2 GROUPS AND BEGAN OUR INVESTIGATION. LEANNE, CLARK, JOHN, DON AND DON F WENT UPSTAIRS TO THE 3RD FLOOR, WHILE CRAIG, DOUG, AND I WENT TO THE BASEMENT, WHERE JEB STUART HAD BEEN SEEN BEFORE. ONCE IN THE BASEMENT WE TRIED TO TALK TO BRIG. 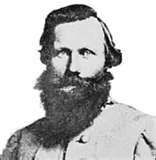 GEN JEB STUART. BUT BEFORE WE HAD BEGUN, DOUG HAD HIS DR-60 TURN ON IN HIS POCKET AND WHEN WE MENTIONED KEVIN THE OWNER, WE GOT AN EVP SAYING HIS NAME! WE WENT UPSTAIRS TO THE FIRST FLOOR AND AFTER SEARCHING THE KITCHEN, WE SAT IN THE MIDDLE ROOM AND SET UP THE PX AND A DR-6O AUDIO RECORDER ON THE FLOOR AND RAN 2 OTHERS AS BACK UP. WHEN WE ASKED VERY SPECIFIC QUESTIONS THAT ONLY JEB STUART SHOULD KNOW, WE GOT SOME GREAT ANSWERS THAT GO ALONG WAY TO TELLING ME THAT WE WERE INDEED TALKING TO THE GREAT JEB STUART, CSA. WHAT DOES JEB STAND FOR? WHO ELSE WAS WITH YOU AT HARPERS? WOW! TALKING TO THE GREAT JEB STUART, WHOSE FIRST NAME WAS AN ACRONYM FOR "JAMES EWELL BROWN"! VERY FEW PEOPLE WOULD HAVE KNOWN THE NAME OF THE ONE TROOPER WHO DIED ON HIS FAMOUS RIDE AROUND MCLELLANS ARMY IN JUNE OF 1862. WE ALSO GOT THE WORD"REGRET" ON THE PX BOX AT THE SAME TIME. HE WAS RESPONSIBLE FOR HIS MEN AND HE WAS STILL FEELING THAT WAY. UPSTAIRS BY MYSELF, I SAT IN A CHAIR, SET UP A VIDEO CAMERA, THE PX AND A DR-60. IT WASN'T LONG BEFORE I WOULD HEAR THINGS FROM THE PX BOX AND AT THE SAME TIME, I WAS GETTING EVPS ON THE DR-60. AFTER HEARING SOMEONE SAY HELP AND READY HAPPIER(ON THE PX BOX), I DECIDED THAT I HAD TO CROSS THIS GUY OVER. I DID AND IT TOOK ABOUT 20 MINUTES. NEAR THE END, CRAIG CAME UP AND SAID HE HAD SEEN BLUE LIGHTS IN THE BALLROOM, WHICH WAS LOCKED, AND SO WE ALL RAN OUTSIDE. I FORGOT MY DR-60 EVP RECORDER AND ACCIDENTLY LEFT IT ON THE SECOND FLOOR. NO SOONER DO WE LEAVE THAN A CONVERSATION STARTS INCLUDING SOMEONE SAYING "WHO WANTS TO PLAY" WHICH I HEARD 3 DIFFERENT TIMES!!!! THAT ALONG WITH A EVP "IM NERVOUS" AND "I MISS THE FAMILY" ARE EVPS THAT TUG AT YOUR HEART STRINGS. THERE ARE SO MANY EVPS, BUT HERE ARE A FEW. WANT TO GO TO THE LIGHT? LATER THAT NIGHT, DOUG AND I WENT UP TO THE THIRD FLOOR WHERE LEANNE HAD ENCOUNTERED A MAN WHO WANTED HELP BUT WAS A LITTLE CONFUSED. 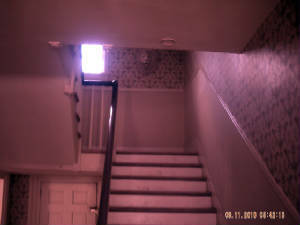 WE HAD GOTTEN A CLASS A EVP LAST TIME IN A BEDROOM ON THE THIRD FLOOR AND A MAN NAMED "RICHARD MARGRUM" HAD LET US KNOW HIS NAME. MY THOUGHT WAS THAT IT MIGHT BE THE SAME MAN WHO WANTED THE HELP, SO UP WE WENT. WHEN WE GOT THERE, WE STARTED THE PX BOX AND A EVP RECORDER AS WELL AS A VIDEO CAMERA. PRIOR TO THIS, THE FIRST GROUP HAD BEEN IN THIS ROOM AND LEANNE HAD HER VIDEO CAMERA SHUT OFF IN HER HAND FOR NO GOOD REASON. THE SAME THING HAD HAPPENED TO ME THE LAST TIME WE WERE HERE AND I WAS EAGER TO SEE IF IT WOULD HAPPEN TO ME AGAIN. 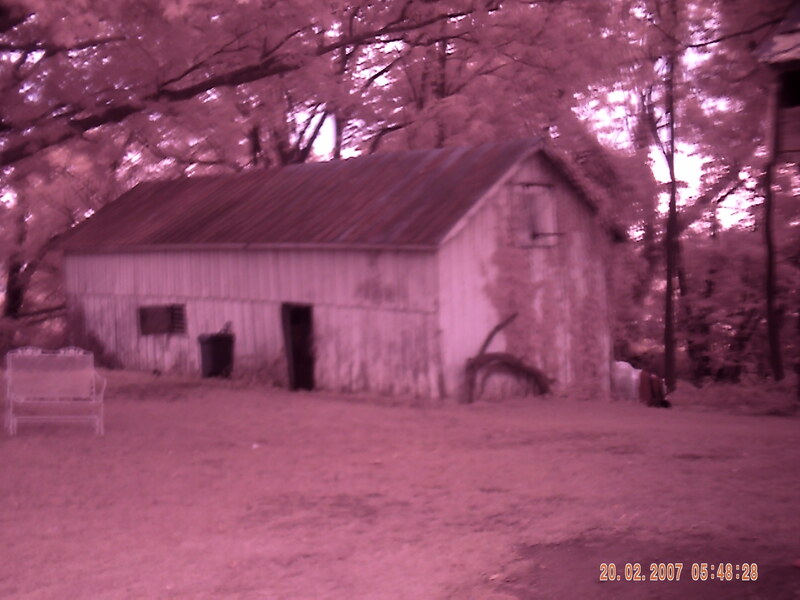 SO I USED A BATTERY WITH ONLY 28 MINUTES LEFT, BUT WHEN WE WERE DONE, THE CAMERA HAD NOT BEEN EFFECTED AT ALL. WE WERE ABLE TO CROSS A SOLDIER OVER, POSSIBLY RICHARD MARGRUM, BUT WE CANNOT BE SURE. IN THE END, WE HAD SOME FUN, HAD A GREAT PARANORMAL INVESTIGATION, AND HELPED TWO SOLDIERS GET BACK TO THEIR LOVED ONES. THAT IS WHAT WE MEASURE SUCCESS BY. WE FIND SHOWING RESPECT GOES ALONG WAY, THAT AND A LOT OF PATIENCE, AND KNOWING YOUR HISTORY, ALL COMES TOGETHER TO INCREASE YOUR ODDS OF GETTING TO INTERACT WITH A SPIRIT OR GHOST. PROVOKING GHOSTS IS NEVER A GOOD IDEA AND ALTHOUGHT WE HAVE NOTHING AGAINST IT, WHITE OR BLACK MAGIC IS NOT SOMETHING ANYONE SHOULD MESS WITH. YOU CREATE YOUR OWN REALITY WITH YOUR THOUGHTS WHETHER YOU BELIEVE THAT OR NOT, SO HAVE GOOD, POSITIVE THOUGHTS AND YOU WILL SEE YOUR LIFE IMPROVE! RESPECT THE LIVING AS WELL AS THE DEAD AND YOU WILL GO FAR. WE ARE ALL IN THIS TOGETHER, SO WE MIGHT AS WELL GET ALONG ON THIS PARANORMAL JOURNEY THRU TIME. SPECIAL THANKS TO LEANNE AND ANGELA FROM SPIRITED HISTORY FOR SUPPORTING US AND EVERYONE WHO HELPS RESTORE HISTORIC SITES IN AMERICA! IF YOU WOULD LIKE TO HELP SAVE THESE HISTORIC SITES FROM GREEDY LAND DEVELOPERS, YOU CAN DONATE MONEY TO HELP SECURE THESE GREAT PIECES OF HISTORY BY CONTACTING THE SITE. WWW.LANDONHOUSE.COM TO DONATE MONEY TO THE HALDEMAN MANSION PLEASE GO TO WWW.HALDEMANMANSIONPRESERVATIONSOCIETY.ORG AND HELP US SAVE THE ROOF! KEEPING IT OPEN FOR ALL KINDS OF EVENTS FOR FUTURE GENERATIONS TO ENJOY!